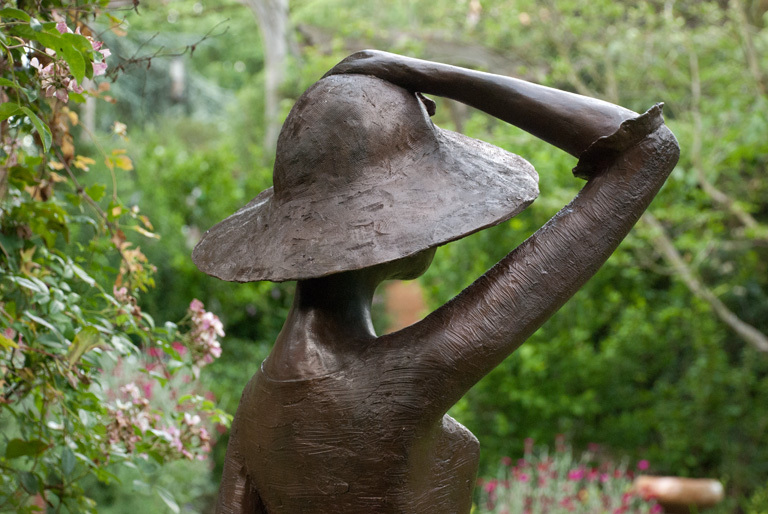 I coordinate a local Society of Garden Designers’ cluster group and last week we visited the Maundy Todd Sculpture Garden and gallery in New Malden. 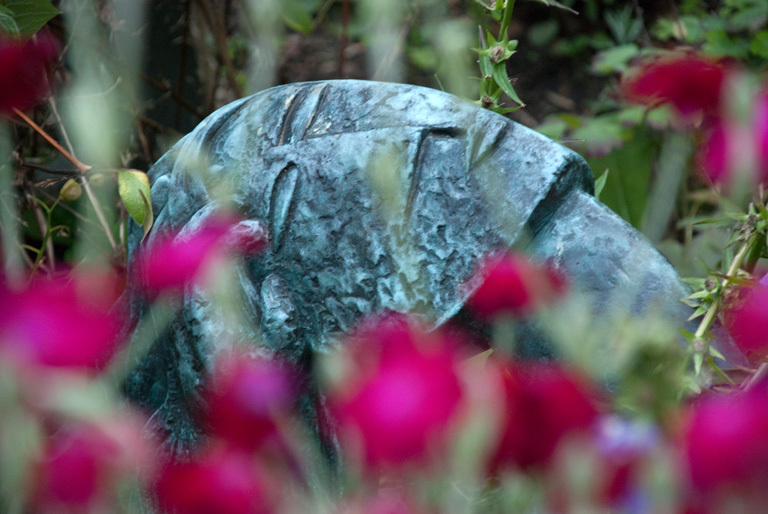 Set in Maundy’s own beautiful house and garden she exhibits the work of contemporary British sculptors who make limited editions or unique pieces for the garden and home. 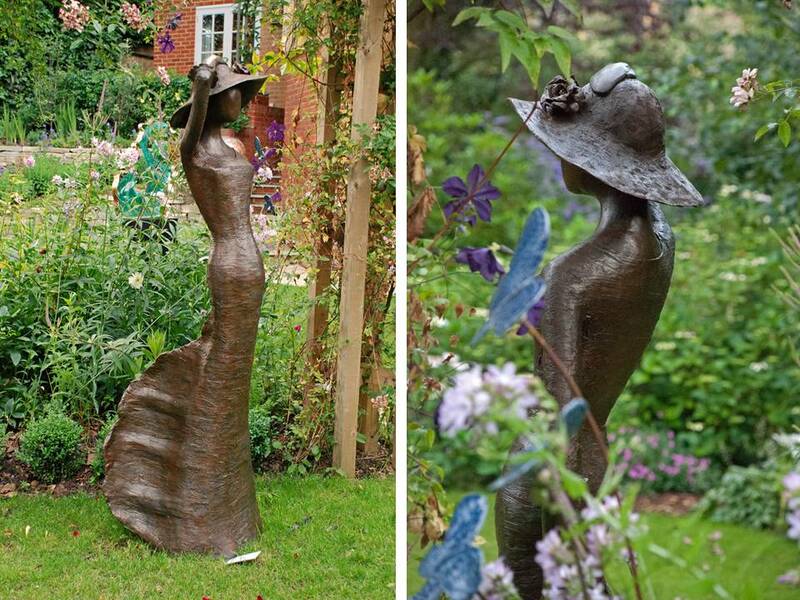 Seeing the sculpture out in the garden means that you can better visualise how it might look in your own garden. 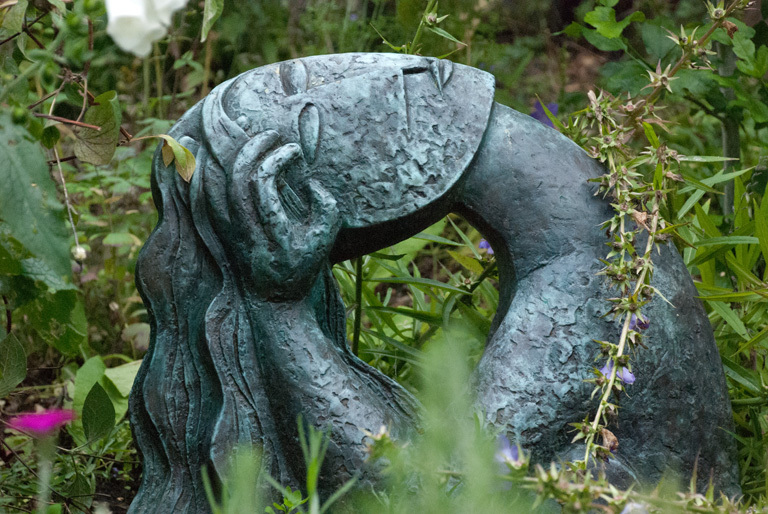 Maundy talked about incorporating sculpture near the house too, on a terrace maybe or in a place that is viewed from the inside the house all year round, it doesn’t always have to be a focal point that is discovered at the far end of the garden. 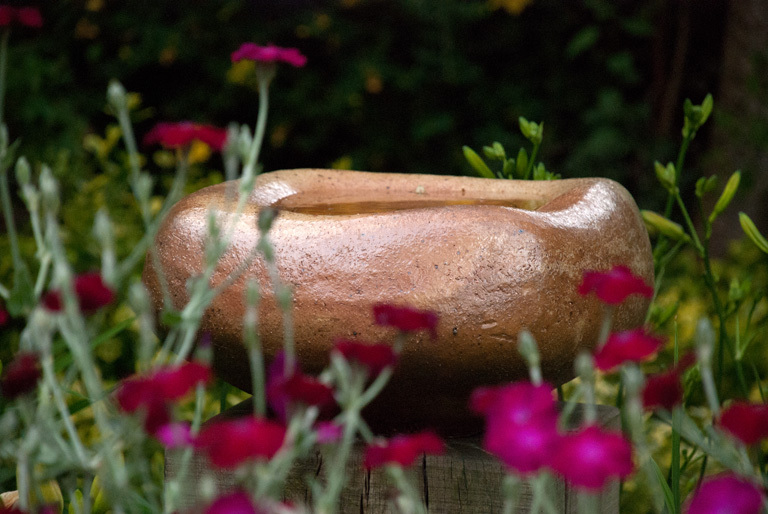 Maundy works with a core group of over 20 sculptors, potters and ceramicists which including established names as well as newly emerging artists. 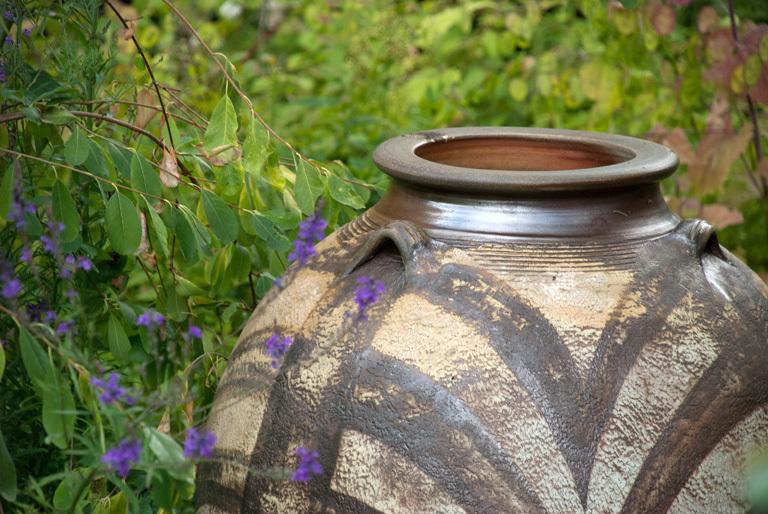 Their work covers a variety of materials such as bronze, glass, stone, ceramics, weldmesh and copper and ranges from small gifts for the home to signature life-sized bronzes. All the sculptors are very happy to discuss commissions and Maundy can help undertake searches for sculpture to fit a brief and budget. The garden is open all year round by appointment, but Maundy also puts on seasonal Summer and Winter exhibitions. The Summer exhibition is on at the moment and the next open days are taking place this weekend, 2nd and 3rd July 12-6pm, so why not pop over and take a look.